2012 has started out on a high note with another design picked as Design of the Day on GCU! Maybe some of us are looking a bit like this groundhog (bloodshot eyes and all) after the New Year weekend!! This groundhog thinks February 2nd is a lot of pressure to put on a rodent in this humourous Groundhog Day card. 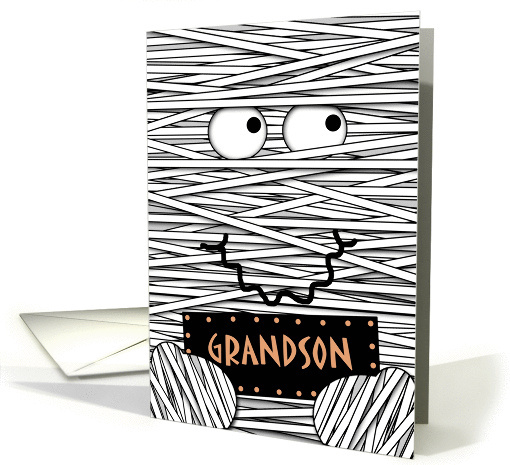 I never knew Groundhog Day cards would be popular, but this Groundhog Day Card is one of my biggest sellers! It was my last card to sell in 2011 and one of the very first cards to sell in 2012 … who would’ve guessed! I couln’t resist using the same little groundhog for the new card. I hadn’t had a chance to add this award earlier, but I got it the day after Christmas, so it was a very fitting design. Cute little lion and lamb enjoy their gifts and are very thankful and overjoyed; just as I am for getting the award! My card won Design of the Day on Greeting Card Universe! I was very thrilled to find my Nutty Bits Anniversary card had been chosen as GCU’s Design of the Day! This one is for Husband. I have one for wife, as well, but these cards can be easily used for any occasion you see fit just by changing the inside text. Here is the winning design! I made other food product cards as well and they can all be found in my store at GCU. I am now a proud member of the GCU Community All-Stars! Happy to be a contributer! 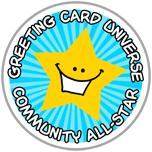 It is a great way to let others know about the kinds of cards offered on GCU. I have two shops at GCU where I hope you will find something to make you smile! Welcome to Creations from the Heart. I am hoping to spread a positive message because being positive will have a great impact on your life. Seeing so many people with destructive attitudes or even worse, take their own life… I have found this is something near and dear to my heart. It is not always easy to be positive and a lot of us have to work on this daily! I hope to encourage you with words or my creations! I love God, love my family, love to create, love animals and I love playing with words! I will be sharing my creations here as I have my drawings on sites like Greeting Card Universe, Zazzle and my own website; Creations from the Heart. If something has meaning to you or you would like to offer positive feedback, I would love for you to share!